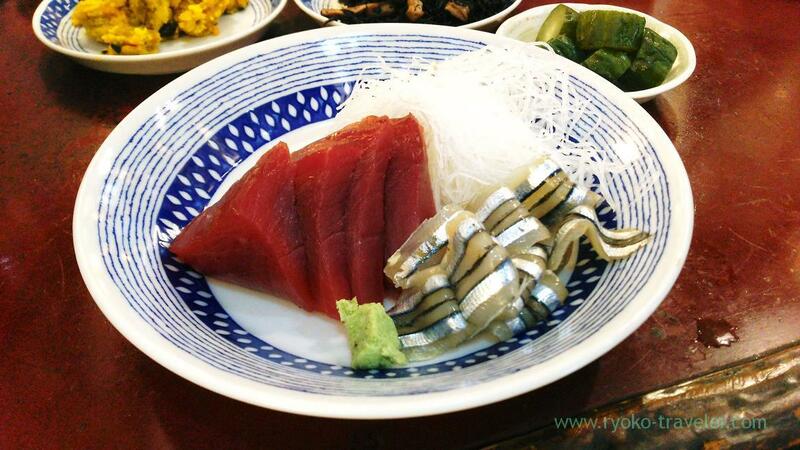 Recently Yonehana serve tuna sashimi as chef’s choice so frequently. 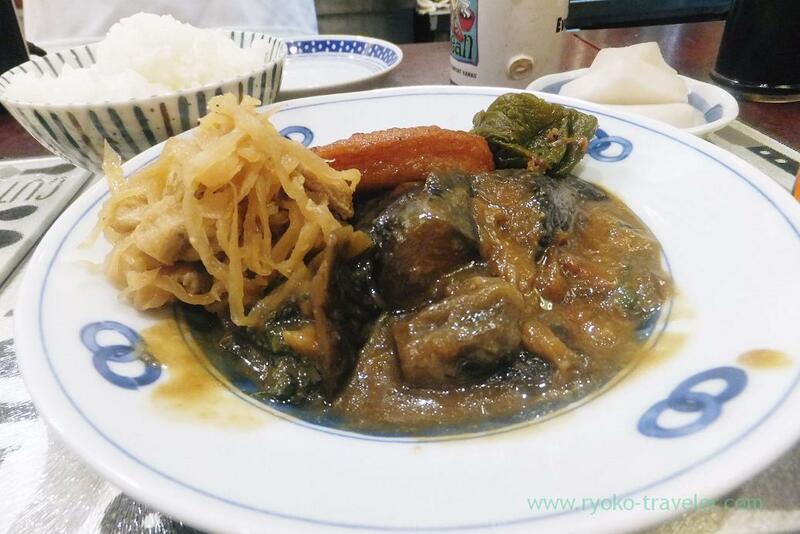 Especially, Yonehana served tuna as chef’s choice for last week in a row. From Monday to Friday, they served tuna sashimi and the last Saturday, they served tuna as steak. After all, all was tuna ! 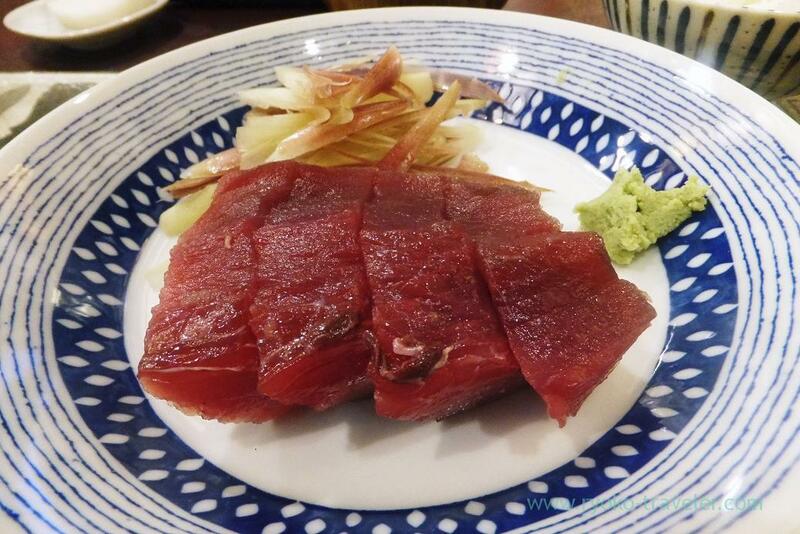 So, I could eat tuna two times at Yonehana! Tuna. It’s my delight ! I like lean meat of tuna better than fatty parts. The entree was una and halfbeak (sayori) sashimi. And another, boiled hijiki seaweed, mushed pumpkin salad and pickled cucumber. Perhaps you can’t recognize from this photo, but this dish is big one and the slices of tuna was large ! 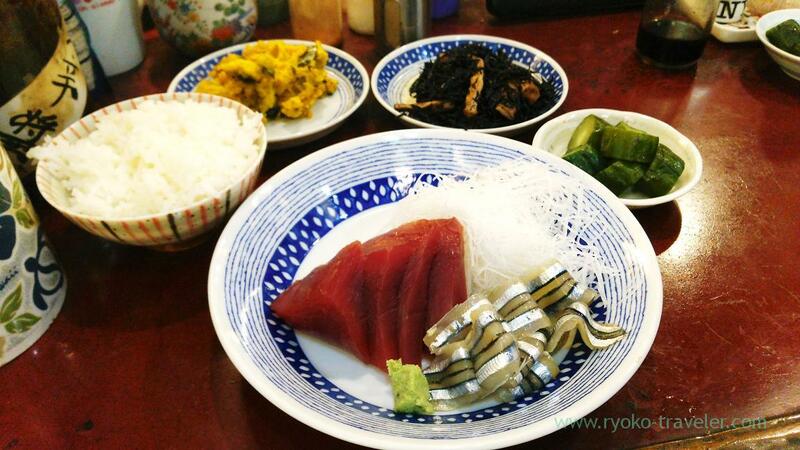 It is about three times as large as ordinary sashimi that is served by another restaurant ! Umm. Do you understand ? It is no longer sashimi. It is chunk of raw meat ! Recently I like my sashimi put into soy sauce for a while and then put them on the rice. Of course, boiled vegetables were large, too. And even pickled daikon radish is large enough to stand by itself ! I think I can eat tuna sashimi everyday. I’ll never fed up with tuna sashimi ! The first serving of tuna looks so delicious even though I like the fatty part the best. The second serving doesn’t look so nice. At least not to me:) I like when the tuna is lean and tender. Btw. 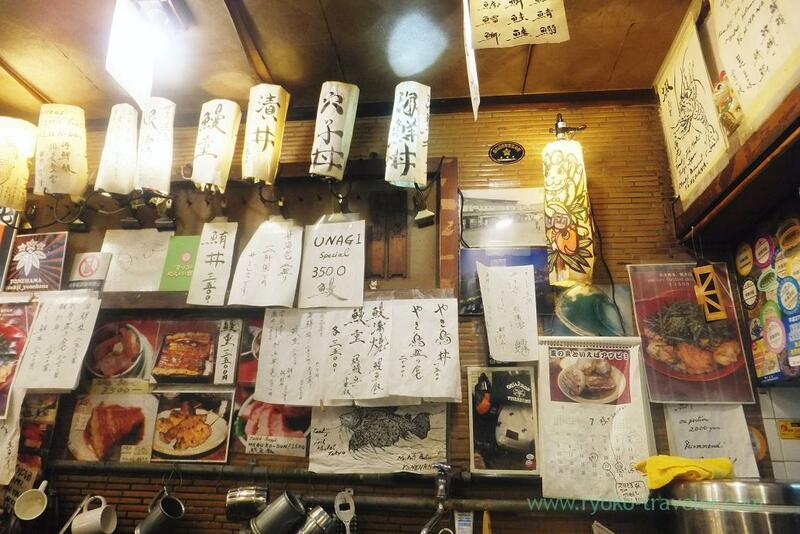 is Yonehana that place with lots of pictures of the chef outside? Yes, there’re lots of pictures drawn by the waiter (Jiro-san) outside the shop. Everything isn’t for selling.